Slave I is, of course, the ship belonging to the famed bounty hunter Boba Fett (and his father Jango before him). The ship was seen in The Empire Strikes Back, Attack of the Clones, and several episodes of The Clone Wars animated series. The picture in the Lego presentation appears to be of the Ultimate Collectors Series Slave I that Lego released in January. 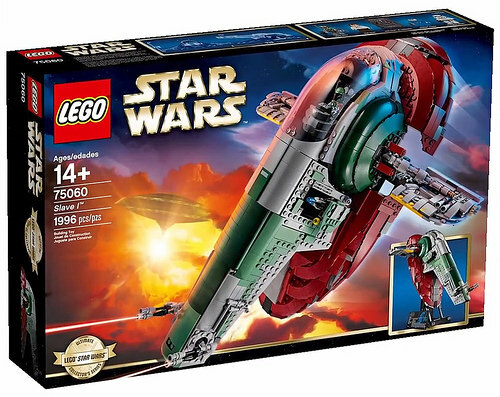 The fact that Lego is using Slave I in their promotion when talking about Rogue One seems like a definitive sign that the famed bounty hunter will have a part in the film. 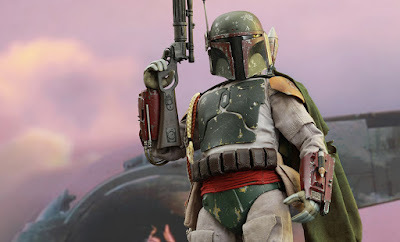 This is not the first we've heard of Boba appearing, back in July 2015 reports surfaced that Boba, along with several other familiar bounty hunters, would be involved in the film (and in what capacity). While this is by no means a confirmation of Boba, it certainly is a strong hint. Rogue One: A Star Wars Story hits theaters on December 16th, 2016 and is directed by Gareth Edwards and starring Felicity Jones, Forest Whitaker, and Donnie Yen. The film tells the story of the band of Rebels who steal the plans to the first Death Star. Great point guys, that would be awesome! As if I wasn't excited enough for Rogue One!